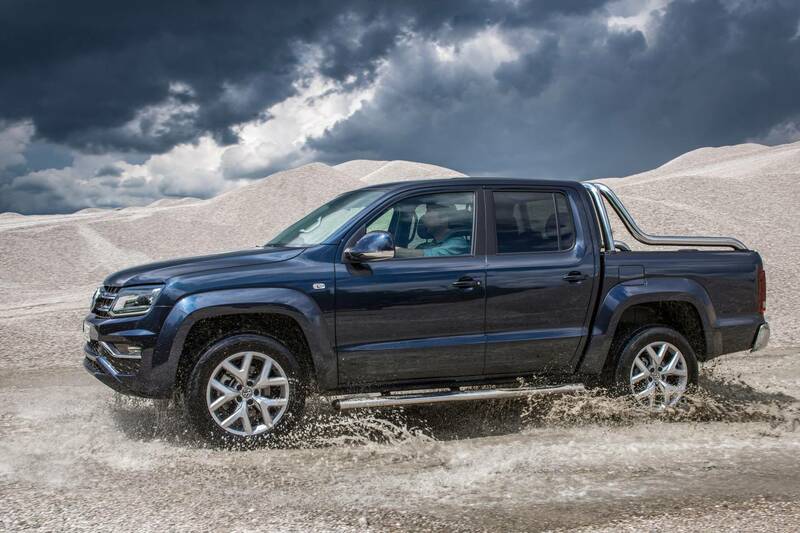 Volkswagen Group has recently announced that it will introduce the upcoming Amarok V6 diesel on the market, starting next week on the 2nd of November, to be exact, the model being already pre-ordered in more than 6,000 units. It is a high-class diesel in all its forms, the ute looking extremely appealing and aggressive with its massive body styling that carries a powerful mill under the hood. Not to mention the luxurious features inside which makes it really appreciated. The car`s only limitation is the 3.0 tonne towing capacity, which is lower than some rivals` 3.5-tonne capacity like the Ranger or the BT-50 and Colorado. “The Amarok V6 is not an over-hyped concept or a badge engineering exercise. It’s real, it’s almost here and it brings the world’s best V6 turbo-diesel, the same unit used by Porsche and Audi in luxury SUVs.” This means that its main attributes remain under the hood. Performance wise, the all-new Amarok diesel version comes with a 3.0-liter turboV6 engine, developing 165 kW and 550 Nm of torque, providing as well 180 kW and 580 Nm of torque during overboost for ten seconds at a time, coming with the seconf highest torque in its class, after the Holden Colorado`s 500 Nm of torque. Hooked to an eight-speed ZF automatic transmission, the Amarlok allows a sprint from 0 to 100 km/h in 7.9 seconds, at a topping of 250 km/h. Once available on the market, the new ute will come as the direct competitor of the newly-unveiled Mercedes-Benz X-Class, which comes with a powerful six-cylinder diesel as well. Full prices will be revealed next week. Volkswagen is preparing a new Van?